Work for Google Cloud Dataproc? Learning about Google Cloud Dataproc? We have done a faster and more efficient data processing before having started using this product. The data depuration took a lot this from the cloud and it does it quickly. "The largest and best data center"
I have nothing today that I could not enjoy this platform more I believe that there should be a better way to manage everything, I had some difficulties to enter and configure. by having a simple and direct structure, this tool has enabled us to save money and time, n execration, and database maintenance of a services that managed and that was necessary and essential for all my work, I had little time to use more was all very well served with Google Cloud Dataproc. We use this platform for processing a system, for a client where you have to perform the separation of the database to better take advantage of performance in accessing the data. "An Affordable Tool in Preparing Data"
It is easy to install and use the product in your business. It uses less time in preparing clusters compared to Iaas providers. It has an automation features that does not require an administrator in processing any form Of data. It integrates well with Google Cloud platform in storinh processed data. No dislikes. It mighy be a little difficulty to the beginners in navigating from one step to another. It is the best in process various types of data. I like the ease of use for building clusters quickly and efficiently. At the same time I can resize them at any moment in time. I have plenty of nodes so that I don't have to be concerned about pipelines outgrowing my clusters. I like how the price is based on actual use, and that they gave me a $300 credit towards my project. Sometimes it can be not user friendly and clusters can take time to re start. Otherwise I have no other complaints. Try it out. You won't have much to complain about. This use of clusters has allowed for predictability for opportunities in determining future sales, increased efficiency. "Good place to run hadoop clusters"
Smooth IDE and seamless integration with multiple programming language options. Clusters take time to re-start when billing is re-enabled. I would suggest everyone to give it a try when starting with cloud deployments and/or map reduce. Working towards running map reduce jobs for a recent project. Load balance is smooth between various clusters as jobs get distributed between the nodes. "Google could Data proc review "
This software is very good .it's ability to predict opportunities in sales or manufacturing from business records or data.Smooth IDE and seamless integration with multiple programming language options. not user friendly, would be more beneficial for data scientists or someone who specializes in IT.Clusters take time to re-start when billing is re-enabled. Load balance is smooth between various clusters as jobs get distributed between the nodes.The predictability for opportunities in determining future sales, increased efficiency. Working towards running map reduce jobs for a recent project. The best way to manage Spark and Hadoop service that has been offered on the Google Cloud Platform. "Use of Dataproc in Retail analytics"
Use of Dataproc make the use of Hadoop Big Data solution in Cloud in Cloud seamless. It brings in the capability of storing non-structured data and decoupling with Compute so that it is scalable. Key downsize has been unbale to create SQL frontend similar to Hive Metastore in Hadoop platform. BigQuery currently does not support AVRO and Parquet format. Data Analytics in Cloud using Google ML capabilities. So far the company has not run into any issues using the software. "One of the best data prep tools on the cloud"
They support open source tools. Pricing is competitive. Really good performance. Nothing in particular to be disliked. They have combined all services and one place and sometimes difficult to navigate. We apply as technology partner. Users could use our tool for data visualization after going through dataproc . The graphical user interface for Dataproc makes it easier to create clusters and use it. 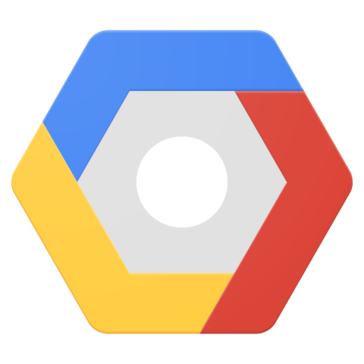 Its easy to spin up and close dataproc clusters on demand, easy access to bigquery and google cloud storage and run spark job. The spark job UI is not easily accessible. "support for other operating system"
User friendly. Good GUI. Does what it needs to d8. Too many steps when using ssh. Make it less steps to use when using the cloudshell. Haven't used in that setting yet. Just practice. * We monitor all Google Cloud Dataproc reviews to prevent fraudulent reviews and keep review quality high. We do not post reviews by company employees or direct competitors. Validated reviews require the user to submit a screenshot of the product containing their user ID, in order to verify a user is an actual user of the product. Hi there! Are you looking to implement a solution like Google Cloud Dataproc?